Metropolis Properties Pvt. 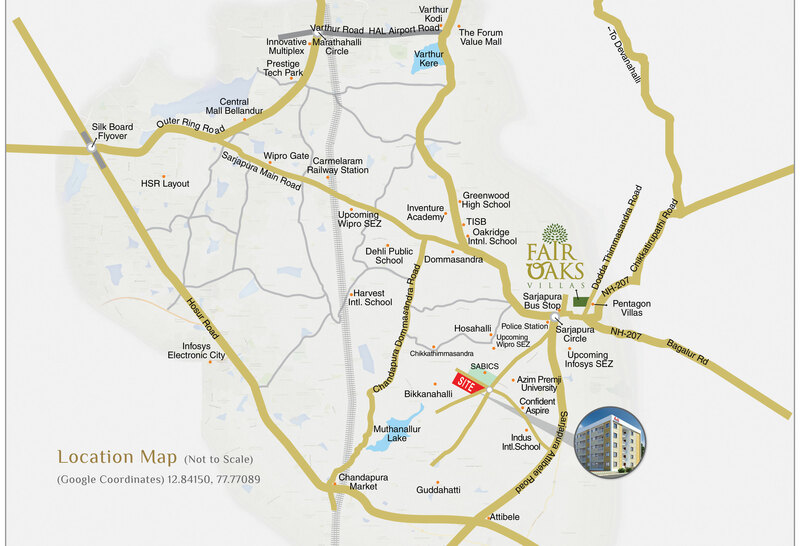 Ltd. is proud to present OakTown 2 BHK Apartments for sale located at upcoming IT hub of Sarjapura, Bangalore. Total land area of One Acre and Six Guntas (50,094 SFT) with Clear Title. Approved by BMRDA (Bangalore Metropolitan Regional Development Authority)-Anekal. OakTown is located at the intersection of 5 Roads (as per Master Plan – 150 feet wide roads). Located next to SABIC Company and surrounded by upcoming Azim Premji University (APU), WIPRO SEZ and InfoSys SEZ. Each block consists of basement/stilt parking and 5 upper floors with 35 Apartments ( Seven Apartments on each floor) and total of 3 blocks (105 apartments). At present, construction completed for Central block with 35 apartments. Entire Central Block is PRE-LEASED to APU for their student hostel accommodation for FOUR years starting from June 2017 to May 2021. Each Apartment will get a guaranteed monthly rental income of Rs.14,000/- APU pays all the maintenance expenses. Good possibility of extending the lease by APU for a year or more. Since OakTown is surround by future growth area, it might have a better future appreciation. At present, construction started for Central block with 35 apartments.